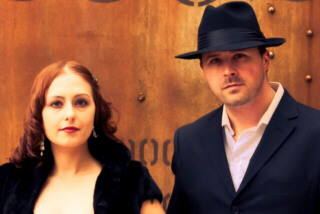 The Sweetest Condition (formerly Irene & Reed) has been described as "dark-tinged Americana." It's the innocence of your first love—that churning, all-consuming infatuation. Flip the coin, and it's obsession, addiction ... the toxic codependent tug-of-war learned from feeling worthy and worthless. Some joy, some pain. Look for the new full-length album, "Struggle, Strength, Reclamation," recorded at Sony Tree Studios in Nashville, Tenn., due out by 2013!